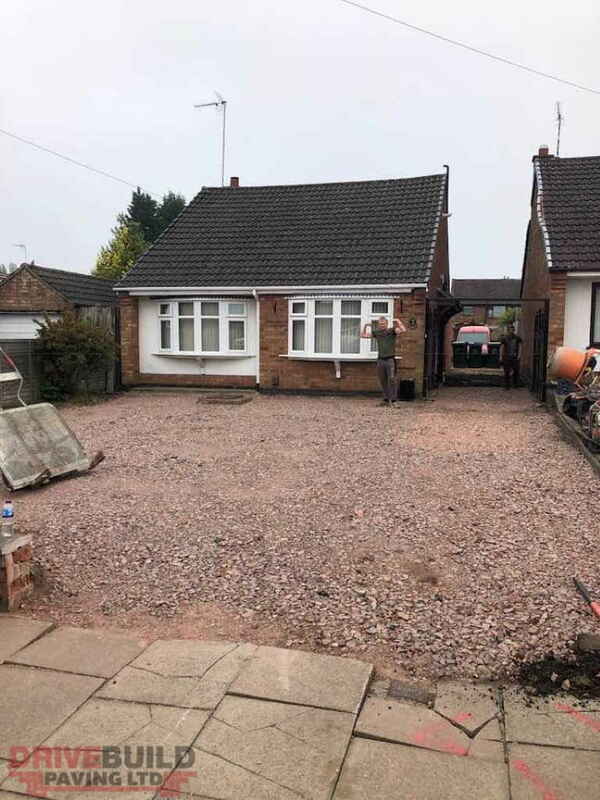 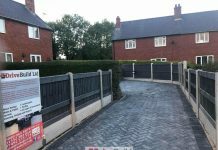 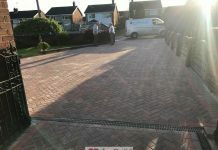 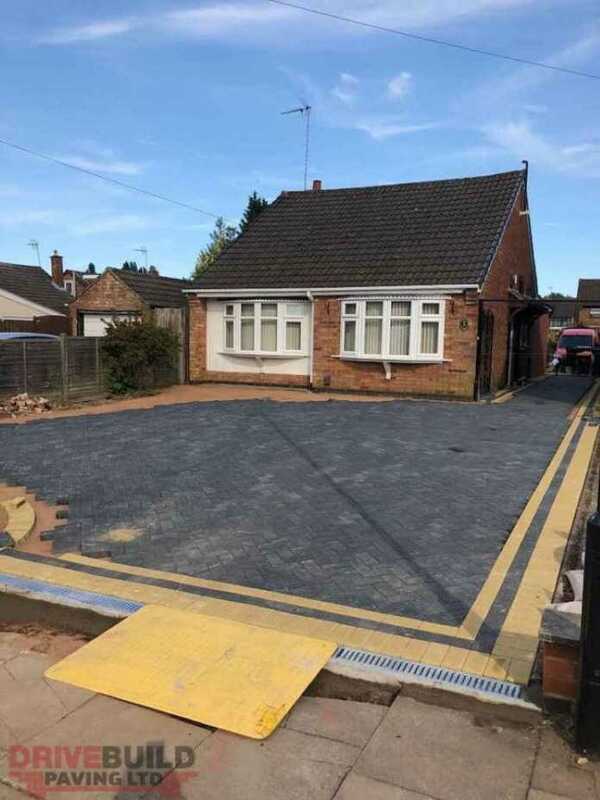 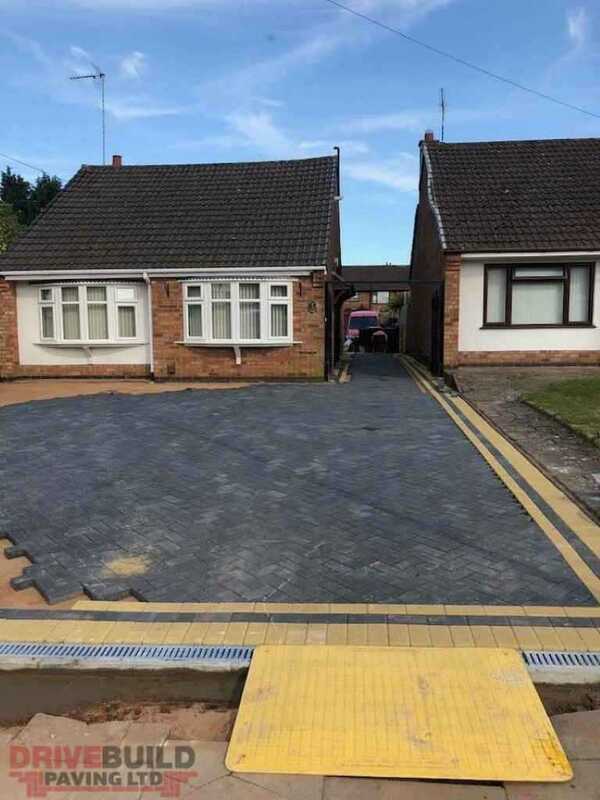 Block paving installation carried out by DriveBuild Paving LTD. 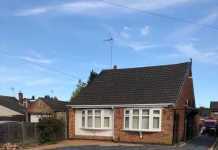 Original driveway excavated. New base installation. 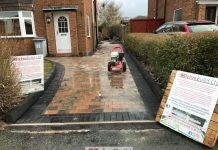 Membrane sheeting to inhibit weed growth. 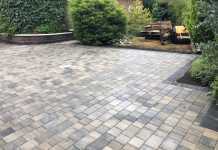 Block paving installation with a herringbone pattern, charcoal paving block with a buff border around it. 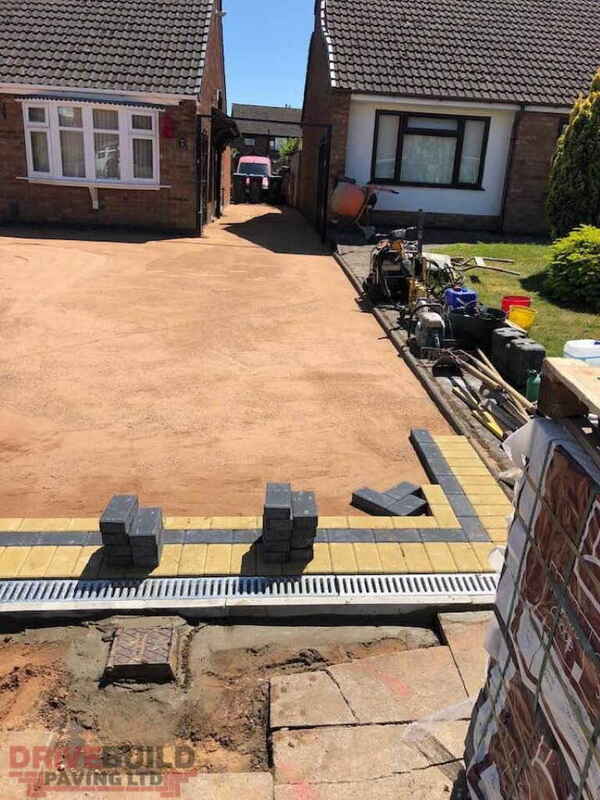 Metal Aco drains installed at the front of the driveway to catch surface water.